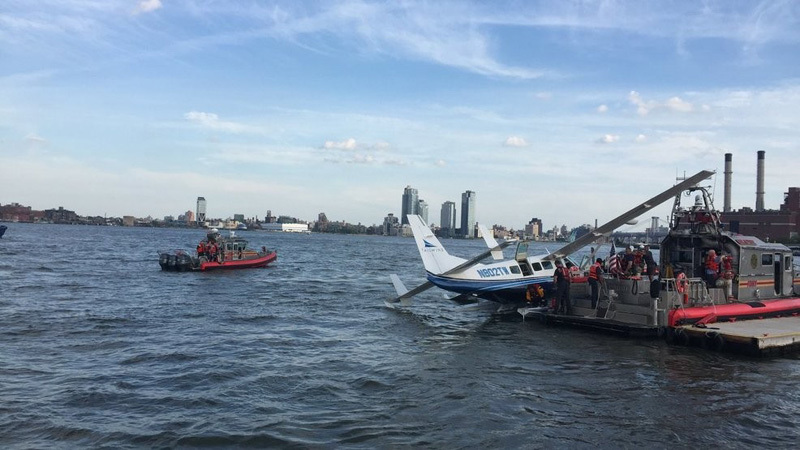 The Cessna 208 Caravan amphibian seaplane made an emergency landing in the East River on Friday evening last week. Lucky seaplane accident. 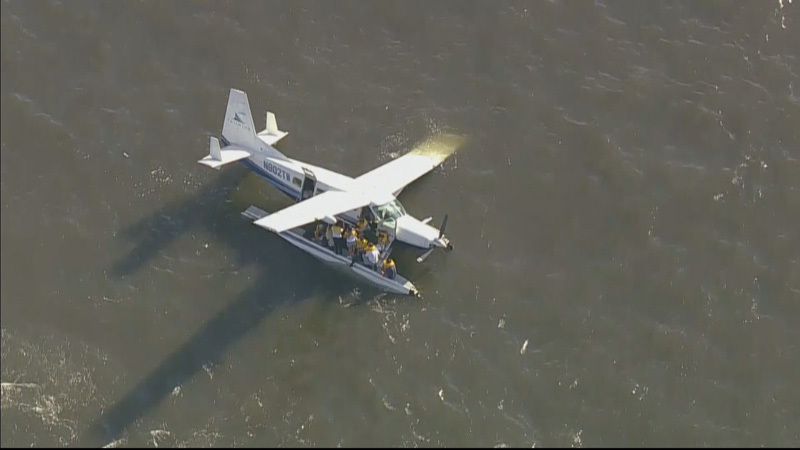 An NYPD boat rescued 10 people from the seaplane, 9 passengers and the captain. 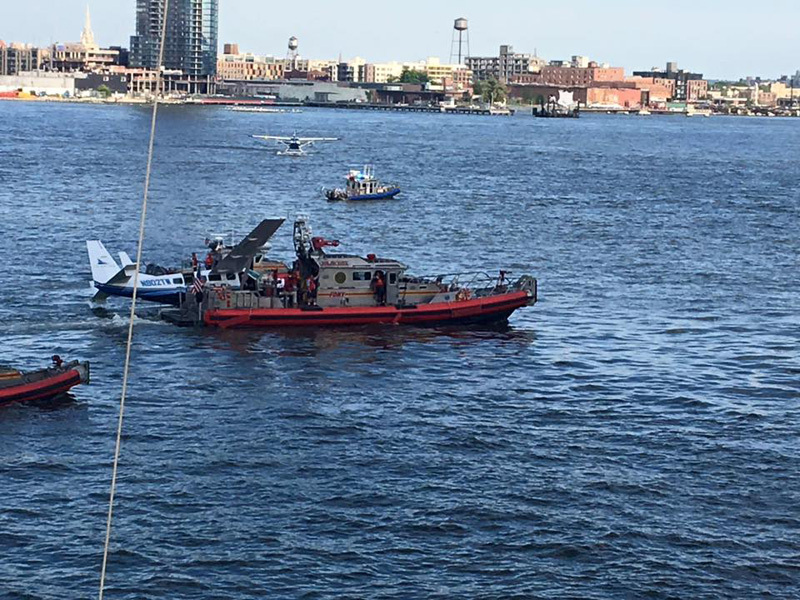 The aircraft experienced a collapse of left float struts during takeoff attempts from New York Skyports Inc Seaplane Base, on the lower East River in New York City, New York. The floatplane came to rest with the left hand wing tip in the water. The ten occupants onboard were not injured and were rescued. The aircraft was towed to the shore. A famous American producer, who shown the cover photo, would have gone to Hampton with this seaplane. 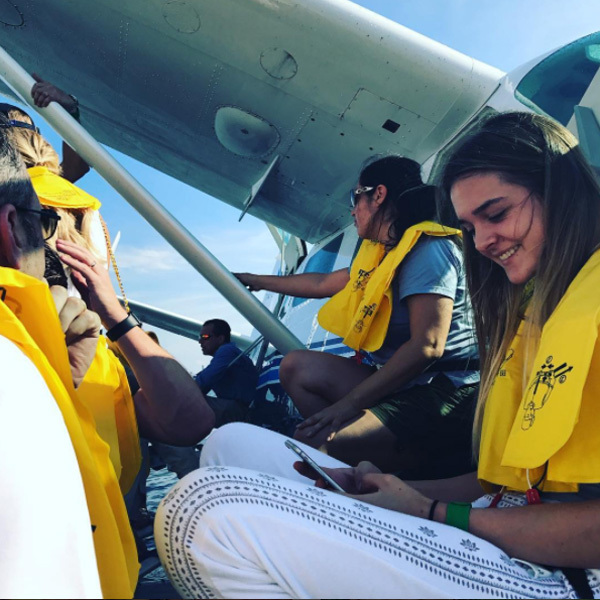 On the picture the passengers wait for the rescue and his daughter is sitting on the damaged float. The NYPD boat haul out the damaged seaplane to the shore, after it saved the passengers and the crew.